Before you start your exercise program, answer three questions. First, when will you exercise? Identify three days and times that are convenient for you and stick with those days so you are working out at the same time each week. Second, what type of exercise will you do? The best type of exercise is one you enjoy. Don't worry about what everyone else is doing; pick an exercise that works for you. 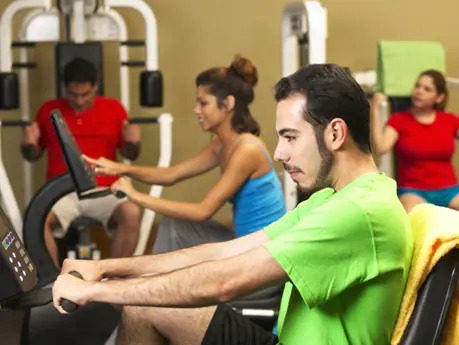 Choose from activities such as walking, cycling, running, swimming, weightlifting, skating, dancing, golf, handball, tennis and basketball. Third, how much time will you spend exercising? Start with as little as 10 minutes per session and slowly build up to at least 30 minutes per workout.